Bullets clanked against metal and ammunition shells flew everywhere. Cowboys and cowgirls scurried from one Western facade to another in attempt to hit their next targets without wasting any time. Thirty men and women transformed into Western characters on Saturday morning, armed with their cowboy hats, pistols, rifles and shotguns. 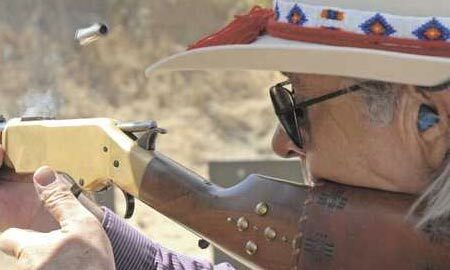 It’s called Cowboy Action Shooting, and while one local range is tucked away behind Lake Piru, the shooting sport is no secret to many.